It is amazing how much comfort can be gained from watching leaves appear on trees. It happened so quickly (in December) that it almost seemed like it was overnight. Even the trees that I thought were dead along Manna Gum Drive are now covered in leaves. Although it is somewhat sad that there are fewer koalas around, there is now hope that some areas of manna gum will survive. Having that hope has meant the world of difference to the landholders and of course, to me. 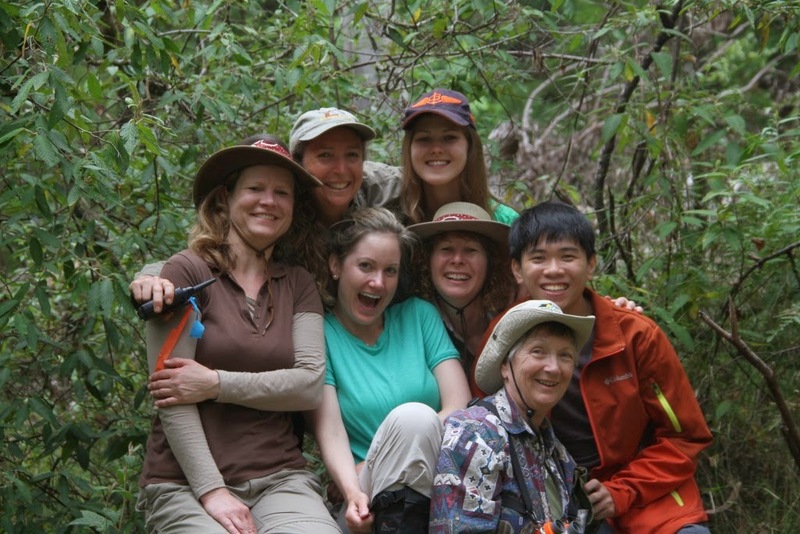 In February, I had an absolutely awesome group of Earthwatchers to help me document the recovery: Christine, Alana, Tak Wei, Karina, Pat and Viki (from Earthwatch). With ages ranging from 20 to 70+ and from six different countries, who would have thought that we would have got along so well? There was never (neva) a dull moment. On behalf of Viki and myself, I even forgive you all for picking on our beautiful Australian accents. An awesome group of people! As is the norm for my trips, we worked hard and surveyed a record 15 sites for koalas and tree condition (including 5 brand new sites), captured our 6 collared koalas, and radiotracked most days. This is extraordinary in itself, but when you consider we lost a day due to hot weather and high fire danger, all I can say is ‘WOW’! And we played hard too. Nothing like a competitive game of spoons or the new crowd favourite ‘scum’ that our visiting journo Ken taught us, to top off a hard work day. THANK YOU my friends for helping me recover. Our 6 collared koalas are still going strong. All have put on some weight and muscle condition is improving. Sally still had her joey (now named 'Sammy') with her in February but now (March) has left him to fend for himself. She has returned to her old core area several hundred metres to the south and he appeared to be doing OK in the trees she raised him in. Sally and joey 'Sammy' (Photo by Alana). Apparently these are the most beautiful koalas in the world! 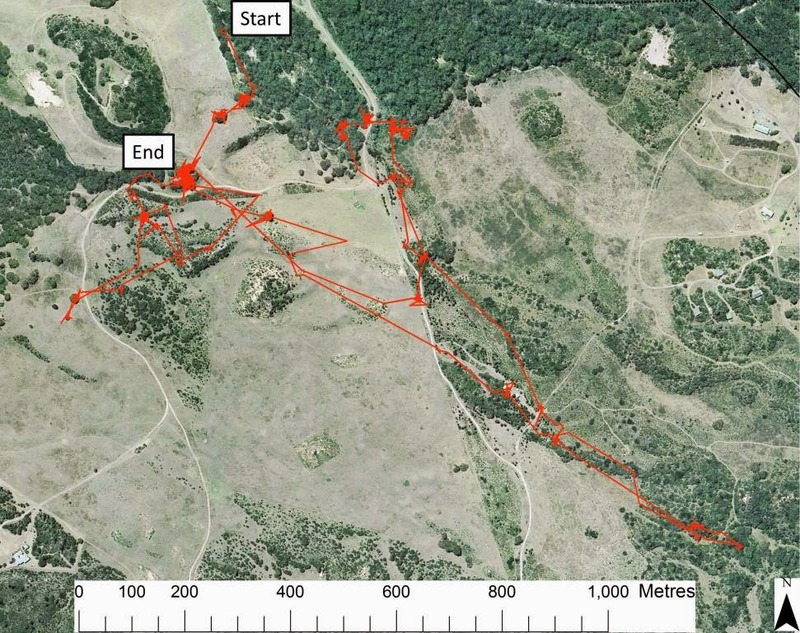 The GPS tracks of some of the koalas are really interesting. Beast, Dave, Buffy and Bella roamed a lot in Dec/Jan. It is intriguing to add the data from the last few months to those of the last few years. 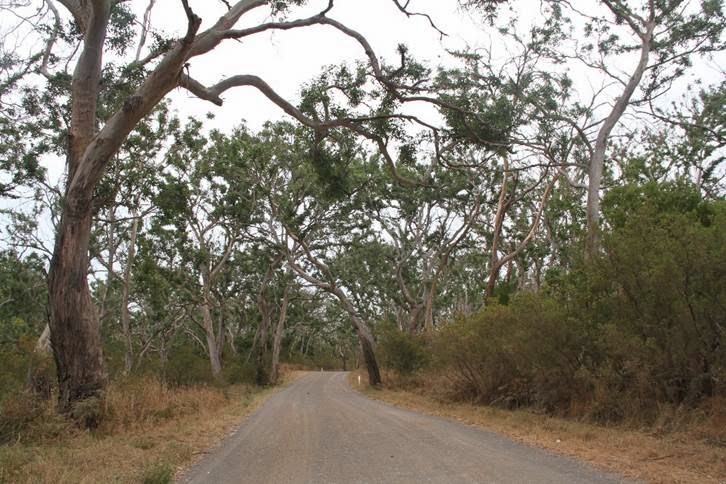 The population in our focal 7 hectare manna gum site increased steadily from around 11 koalas per hectare in November 2010 to around 20 per hectare in September 2013. Then the population dropped to 5 koalas per hectare in November. From our radiotracking and GPS data, we know that most koalas moved to neighbouring woodland patches as leaves became scarce in their core areas. This is reflected by the rapid increase in population density in ‘Bush Block’, a few hundred metres to the east, in November. That population also crashed, but this time only the fittest were able to move on. Only 8 of our 20 collared koalas survived past November. 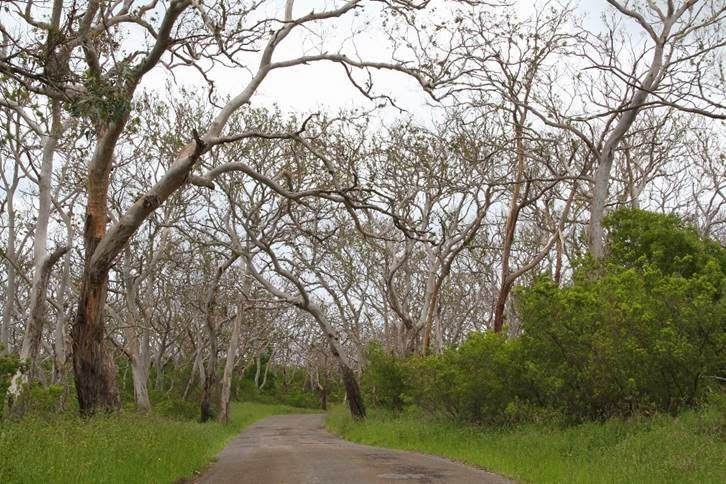 Tree canopy cover in the focal site reflects the changes in koala densities over the years. 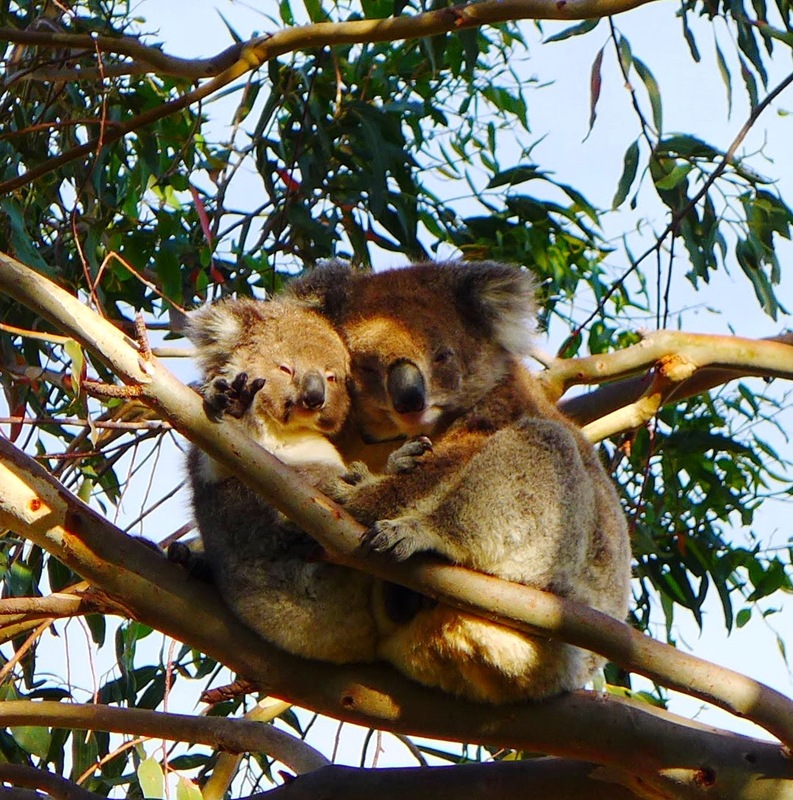 As koala densities increased, average canopy cover declined. A temporary increase in cover due to the summer flush of growth was observed in February most years. This year the increase has been more dramatic although overall, cover is still lower than that recorded in February 2013. Only time and more data gathering will tell how much these trees can recover. 7 - 16 September - Earthwatch expedition #2. Places left. Please contact Earthwatch if you are interested in joining us. 16 -25 November - Earthwatch expedition #3. This trip is FULL.